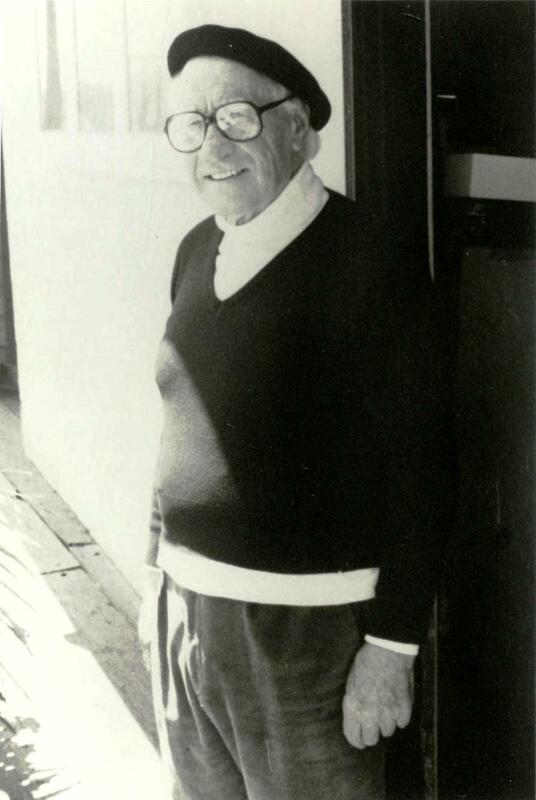 Raphael Soriano, frontispiece photo from his oral history Substance and Form, Interviewed by Marlene L. Laskey, Completed under the auspices of the Oral History Program University of California Los Angeles, 1988. Photographer unknown. I would like to acknowledge Julius Shulman for the inspiration to create this bibliography. As I gradually became an avid fan and collector of material pertaining to Southern California modernist architecture over the last few years, I grew to appreciate the great importance of Shulman’s legacy in chronicling its evolution and growth. I also started to realize the ubiquitousness of his images in the architectural literature and on the covers of same. I approached him a couple years ago and asked if he had ever thought of doing a book which would collect all of the covers from books, shelter magazines, and architectural journals that his photos have graced. He liked the idea and invited me up to his idyllic Raphael Soriano-designed studio in the Hollywood Hills. After an introductory chat he told me to open the doors to his closet and pull down some of the dusty old 8X10 Kodak film storage boxes from the top shelf. They were stuffed to the gills with clippings and tear sheets he had saved over the years from various articles containing his photos. As we rummaged we found numerous covers he had long forgotten about and which I had never seen. Thus began a journey on which there seems to be no end. Julius gave me much encouragement and allowed me free reign to browse, and catalogue his studio archives. He also graciously shared with me his assignment log book which contains over 7,000 records and counting as he continues to work beyond his 98th birthday. He introduced me to important historians, film makers and archivists and regaled me with anecdotes on his assignments and clients. To date we have uncovered over 800 covers on which his photos have appeared. Julius has chosen the title “Julius Shulman Covers Up” for this effort and uses it with an impish twinkle in his eyes. While conducting my exhaustive search for Shulman covers I began compiling an annotated bibliography of all the publications his work has appeared in. It has become a labor of love which now approaches 8,000 items. It has also provided focus to, and facilitated my collecting efforts. Publication in 2008 of Julius Shulman: The Building of My Home and Studio and Julius Shulman Does His Own House by Nazraeli Press motivated me to learn more about the architect Raphael Soriano. A logical starting point for me was to perform a “Soriano” search in my aforementioned Julius Shulman Annotated Bibliography. The search resulted in 265 articles with Shulman photos of Soriano projects. Shulman has logged close to 50 assignments on Soriano projects over the years for various clients ranging from Soriano himself to book and article authors, magazine editors, newspaper reporters, exhibition curators, homeowners and realtors. He also used his considerable marketing skills and contacts with publishers and editors to help spread the gospel of modernism according to Soriano to a global audience. This bibliography compiles my Shulman-Soriano findings with the excellent bibliographic foundation laid by Wolfgang Wagener in his excellent 2002 biography Raphael Soriano published by Phaidon Press. Esther McCoy’s groundbreaking The Second Generation published in 1984 by Gibbs Smith had additional bibliographic material and Neil Jackson’s 1996 The Modern Steel House published by Van Nostrand Reinhold was also helpful. Building upon these sources, exhaustive searches were also done on ProQuest, Los Angeles Times Historical, RIBA, Avery, WorldCat, WilsonWeb, Art Index, Google and many other databases and sources resulting in well over 350 items discovered to date. The bibliography is assembled chronologically by year and contains selected images from my private collection which illustrate the close friendship shared by Shulman and Soriano. Shulman’s eventual choice of Soriano as architect for his own house over Neutra is indicative of that bond. Shulman’s publishing contacts gained through his assignments for Richard Neutra opened doors for all of his other clients. Through this network Shulman ensured that Soriano’s work was published in all the important literature of the early modern movement throughout the 1940s and early 1950s as evidenced by the illustrations herein. The reader is also directed to Soriano’s oral history, Substance and Form, to gain insight into the personality and character of this now legendary figure. He expounds in his own inimitable style on John Entenza, the Case Study House Program, Esther McCoy and his colleagues and is a truly fascinating read. Click on the link below to go to the bibliography. Feedback on ways to improve this compilation and submittals of new items and sources for inclusion is always welcome as I intend to update this bibliography periodically.